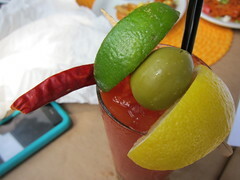 Try ordering your Bloody Maria “extra spicy” and the bar will oblige. (I did. Twice.) In between the Bloody Marias was a Medicina Latina for that smokey kick (El Jimador Reposado, fresh ginger, agave nectar & lime w/Mezcal mist) as well as a La Paloma Fizz (made with El Jimador Reposado, fresh grapefruit juice, lime juice & grapefruit bitters) for that refreshing-but-sour morning cocktail. Or if you’re feeling the wake-up coffee more, go for the Malo Cafe, with Grand Centenario Anejo, Kahlua dark creme de cacao & coffee and topped with whipped cream. Delicioso! 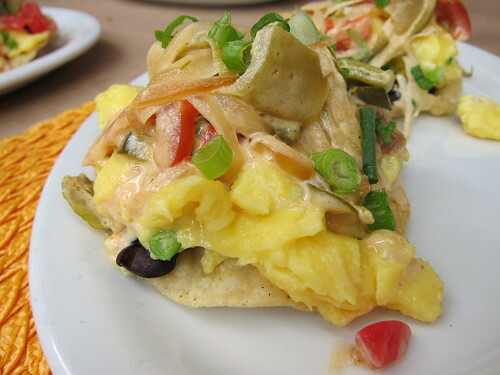 Favorite dishes of mine included the Egg Tostada – with the eggs still wet, the way I like it. I even found myself appreciating one of their Vegan Breakfast Burrito, which was simple yet delicious enough, with tofu, potatoes, spinach, pinto beans, mushrooms, avocado and pico de gallo – though maybe the trick was that I dumped a whole bunch of red-orange salsa on it. 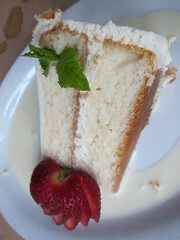 😉 The Tres Leches cake was my favorite dessert. The slice was perfectly wet but not soggyÂ and oh-so-milky. If you’re feeling like an all-around sweet breakfast, try the Mango & Banana French Toast, made with sweet bolillos, warm piloncillo and cinnamon syrup. If you’re looking for a little twist on your typical ham & eggs brunch, Malo’s a good place to start. The tequila in your morning cocktail will spice things upÂ in many different ways – so your lazy weekend day will be sure to get kicked off to a great start. This entry was posted in cocktails, Food, Silver Lake and tagged @malorestaurant, brunch, cocktails, Malo Restaurant, Saturday, Silver Lake, Sunday, sunset blvd, Sunset Junction, tequila, vegan, weekend. Bookmark the permalink.